In August 2016 the Mahtomedi School District began a pavement reconstruction process of their existing parking lots and driveways at O.H. Anderson Elementary School and District Office. In the spring of 2012, U.S. Army Corp of Engineers attended a presentation on the PaveDrain® system and how it solved stormwater and parking problems for Ford Motor Company in Louisville, Kentucky. In the spring of 2013, engineers, stormwater and street maintenance officials from the City of Goshen met with sales personnel from D2 Land and Water Resources and PaveDrain, LLC. Jefferson Street was plagued by an undersized sewer in the area. 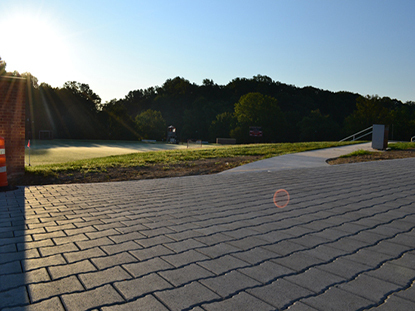 Stormwater management regulations meant that St. John's College High School needed to find a low impact development solution when it started construction of its new cafeteria and library.